Knaresborough Rotary Club are swinging into action to help those affected by Typhoon Haiyan in the Philippines. The Club is sending two shelter boxes and a disaster box immediately and will be collecting across the district on Saturday 16 November 2013 then again on Saturday 23 November. They will be in Knaresborough on market day on 20 November and on Ripon market day on 21 November. A ShelterBox Response Team was already in the Philippines when the typhoon struck, responding to last month’s earthquake which damaged 34,000 homes. The team are now busy helping local people cope with the aftermath of not only an earthquake but now one of the most powerful storms on record. Street collection rules have been relaxed to allow Rotary Clubs across the Harrogate district to collect for the people of the Philippines. Harrogate Borough Council normally suspends street collections after Remembrance Sunday and in the run up to Christmas. 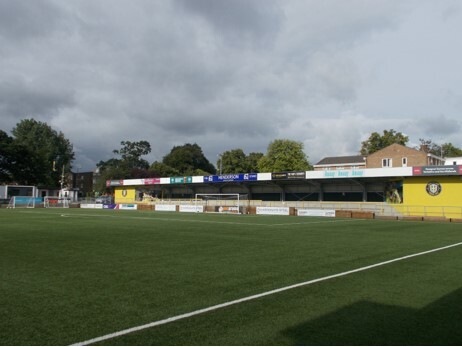 But Leader of the Council, Cllr Anthony Alton and Chair of Licensing, Cllr Stuart Martin, have agreed with council officers that the Rotary Clubs could be allowed to collect to support the much needed relief work. Councillor Alton said: Stuart and I have both been approached by the district’s Rotary Clubs and we feel that this disaster is so overwhelming that we should relax the rules. As each day dawns, further suffering is shown and we must be grateful to the Rotary Clubs for their voluntary work not just for this good cause but for all the others they support. A further two ShelterBox Response Teams are en route to the Philippines to assist with coordinating ShelterBox’s Response in-country. ShelterBox’s response will focus in three of the badly affected regions – Tacloban, Cebu and Bohol. Reports are coming in of 80-90% damage of some towns in these provinces. Each shelterbox contains a tent for a family of up to 10 people designed to withstand extreme temperatures, high winds and heavy rainfall, thermal blankets, insulated ground sheets, water purification equipment as well as a basic tool kit – hammer, axe, saw, trenching shovel, hoe head, pliers and wire cutters enables people to improve their immediate environment, by chopping firewood or digging a latrine, a wood burning or multi-fuel stove so that water is boiled and food can be cooked. There are also pans, utensils, bowls, mugs and water storage containers. Each shelterbox costs £590. All donated funds donated to Rotary and Shelterbox will go towards disaster relief. 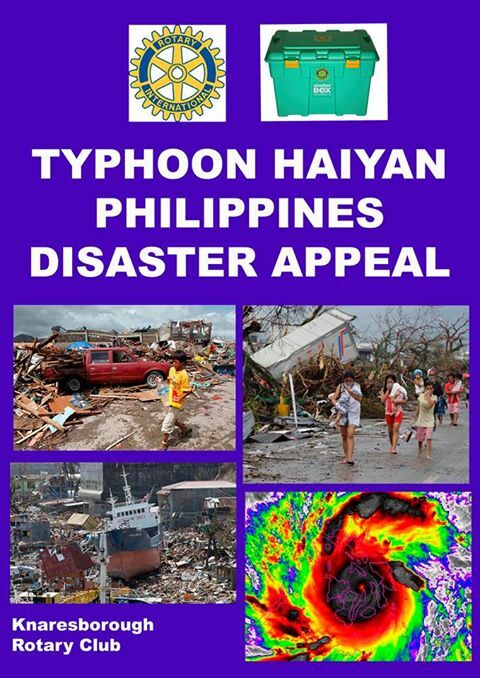 Those who wish to donate online can do so on the Knaresborough Rotary Club webpages https://mydonate.bt.com/events/phillippinesdisaster/107579 which also allows for Gift Aid. A further two ShelterBox Response Teams are en route to the Philippines to assist with coordinating ShelterBox’s Response in-country. ShelterBox’s response will focus in three of the badly affected regions – Tacloban, Cebu and Bohol. Reports are coming in of 80-90% damage of some towns in these provinces. Previous Story Previous post: Suspected shoplifter in Harrogate – do you know him?